In Thomas of Marga’s Book of Governors, there is an amusing story (2:7-10) from the seventh century. Mar Isho-Yab III became Patriarch or Catholicos of the East in 650 A.D. and ruled for ten years. Before election to the Patriarchate he was a monk in the monastery of Beit-Abe in Persia . He was elected because of his learning, spirituality and character. He turned out also to be a strong leader. When he was elected to be the Catholicos, he wanted to express his gratitude to the monastery which had shaped his spirituality and character. 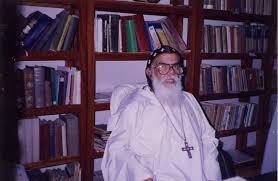 He firmly believed that the combination of spirituality and learning was the key to the renewal of the Church. He decided to show his gratitude to the monastery of Beit-Abe by building an academy or school just next to this own former cell in the monastery, and made his offer to the abbot and monks. The monks were not interested and refused the offer. The Catholicos, being all powerful, decided to go ahead with his decision, even if the monks disapproved. So he assembled workers and materials and began construction. It was important that the spiritual leadership of the church should have a good education, even if some stubborn monks did not perceive the necessity, he thought. Well, monks are difficult people to impress. They would not give in. They simply left the monastery, as the Catholicos continued with the construction of the school. They did not think that what the Catholicos said was from the Lord. Neither, apparently, did the Lord think so. For the Lord appeared to the Catholicos in a vision and told him that he had made a big mistake. Promptly Isho-Yab desisted from building the school in Beit-Abe. He recalled the monks to their monastery and constructed his school elsewhere. In our age of complex organization, if a priest is also not a good administrator, he would not be able to function well. We have to train our students in management and administration. Preaching is coming back to its own. Our priests have to be trained as good preachers. In the old days we could count on the family to do most of the religious education. But today the priest has to be a learned man, a scholar who speaks with authority, as well as a good educator. People are facing new and complicated problems, and unless a pastor can deal with personal problems of his people with skill and understanding, he is not likely to be a good parish priest. The distinctive characteristic of our time is the Church’s greater sense of responsibility for the whole of a pluralistic society. We need to give training to our prospective priests in economics and sociology as well as in psychology and pastoralia. Of course, the priest has the high responsibility of offering up the sacrifice of the church and the prayers of the people. Spiritual and liturgical training is the essence of the life of the priest. Living in India as we do, we have to become deeply rooted in the culture of our land, or we cannot be real leaders of our people. This means knowing something of our religious culture and philosophy – especially Hinduism, Islam, Buddhism, Sikhism, and Jainism. Is it possible to put all these various requirements into any training programme for priests? And what we have listed are but the minimum requirements – without worrying about the specialized ministries within the social apostolate. We have not mentioned the urgent need to train good evangelists who can proclaim the Gospel of Jesus Christ with power, or training priests for social work, for the ministry of looking after the health of the people, and specialized ministries in the media, in factories, in business, and so on. This brings us to the crucial question of this brief talk. Was Catholicos Isho-Yab right, or was the truth on the side of the monks of Beit-Abe? Obviously the Lord was on the side of the monks in seventh century. Which side would He be on in the twentieth century? Let me define the two sides clearly. 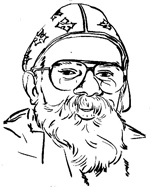 Catholicos Isho -Yab believed that sanctity and scholarship should go together, and that scholarship had something to contribute to sanctity, and sanctity to scholarship. He therefore felt that the right locale for a theological college was a monastery; the monastic setting would make sure that the scholastic enterprise would be oriented towards the glory of God and not towards the pride of man. The discipline of a spiritual community provides the necessary setting for training the leadership of the Church. The monks of Beit-Abe, on the other hand, were contemptuous about the paraphernalia of learning — the noise and bustle of students and the fuss of the professors, the frequenting of libraries and lectures, the pretension and sanctimoniousness of learned scholars. They were even unappreciative of a common liturgical life. They objected even to “the chanting of psalm and the singing of hymns”, as well as to the recitation of the daily offices. They wanted each monk to remain in his own cell — “to pray, to meditate, even to read” as they put it; but they did not want to become school boys. They believed that pure spirituality was totally independent of any scholarship. To them scholarship was inimical to spirituality. They held the view of the European monks of the pre-scholastic period — that the reading of the sacra pagina was not to raise a discussion of the quastiones disputatae, but simply to raise the mind to meditation and contemplation. We, Christians of the twentieth century, would find the attitude of the Beit-Abe monks ridiculous. We have learned to respect scholarship, and modern science and the technology based on it have shown us that only careful, cautious, methodical and painstaking scholarship can lead to the brilliant achievements of modern civilization — to space travel, the electronic marvels, and the modern comforts of life. We do not even, at least in practice, agree with Catholicos Isho-Yab that only in the context of sanctity, scholarship gets its proper orientation. We know that it was the control of the Church that hampered modern science for a long time from free development. Once the Church lost its control, science began to flourish on its own. Science finds its own orientation without the aid of religion, and religion only holds it back from its own dynamic development. And does not the best theological scholarship even today emerge from the theological faculties of so-called secular universities in Europe ? I am now ready to make my point. I cannot identify myself with any of the three positions I have described — neither that of the Catholicos Isho-Yab, nor the monks of Beit-Abe, nor even with the 20th century academic theologian. But I recognize a partial truth in all three positions, and I want to submit that the hardest struggle facing Indian theological education — whether Christian, Hindu or Muslim — is a healthy integration of the truth in all three positions. Doubtless, such an integration cannot be achieved nor maintained except in severe tension. It will not be easy to achieve; nor will it be easy to sustain once achieved. In our Christian theological Seminaries we see a double tension — the striving for academic excellence. I do believe that we have now some achievements in both of our strivings. But in that process, have we become too much the children of the twentieth century? Do we still have something to learn from Catholicos Isho-Yab and from the monks of Beit-Abe? I believe we do. I believe that it is urgent that we learn this lesson. Would academic excellence and socio-economic relevance solve the problem of our theology? I do not think so. Latin American theologies of liberation, some of which are of academically high quality, also have socio-economic relevance to some of the problems acutely felt by many thinking people. But are they sufficiently Christian? The most important thing to remember is that Christianity did not begin with any academic theology. It began with a charismatic event — the incarnation of the Son of God from the Blessed Virgin Mary. The theological comprehension of that event came only generations later. It was the event that held the power — even when it was imperfectly understood. I wonder how much of theology either the Blessed Virgin or the Twelve could handle. A Greek Orthodox priest, basing himself on the Magnificat, has written a book to prove that the Blessed Virgin was a Socialist.